It is hard to think of one reason why I enjoyed my trip as a professional nurse to Kenya with the Yellowmen so much. Apprehensive is an understatement as to how I felt leading up to the departure date, to the extent that I came very close to crying off at the last minute. Well, what a truly amazing experience! 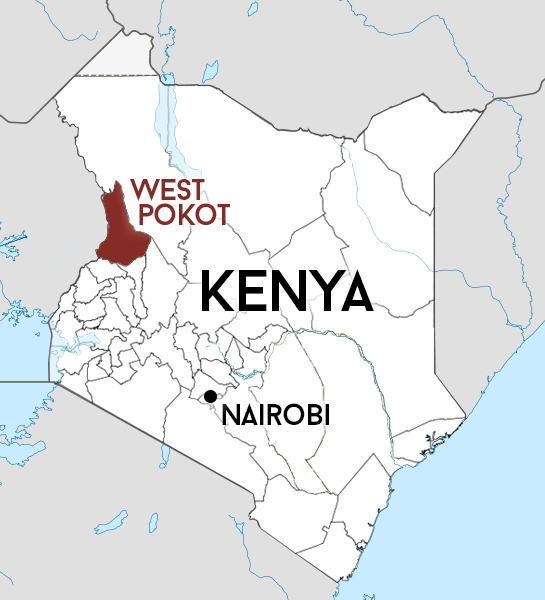 Words cannot express how much I have fallen in love with the people of West Pokot and even more so the Yellowmen of Kadongdong who radiate kindness and generosity to everyone they feel deserving. Visiting a combination of clinics and a hospital in Sigor, first hand experience acknowledges the daily grind of the nurses and doctors. They are very thin on the ground, yet still manage to maintain a positive attitude often whilst running an entire medical unit. The refreshing attitude of the Kenyan people, both staff and patients, shames the blame culture within the NHS that is all too prevalent in British society. Work quickly materialised once it was established how much extra staff was needed, and the roles that the three Yellowmen nurses played included providing the medications and equipment that had been fundraised for the trip, assisting with diagnosis, pressure relieving busy units by assisting with clinical work and very importantly, education. The trip was very successful from a nursing point of view for as well as assisting and educating with the skills of western nurses, we all also learnt a great deal from the Kenyan medical teams as well. Each Yellowmen nurse found their niche in different areas. Gaynor, with the most nursing experience of the three strove to improve the standards of Sigor hospital even to make the slightest difference and spent the majority of her time improving the cleanliness of the ward, working independently, dispensing medications and invested in buying resources to educate the mothers with ill children on how to manage a young person’s temperature, as many of them had been warming their children up with clothes and blankets as they had been shivering and complaining of feeling cold, but with a high and often deadly fever. I personally feel that Hannah and I worked better as a team. With great appreciation the biggest differences I feel that we made was to Stephen, a nurse who works independently in his clinic in Sostin and to Mary another nurse who runs a clinic independently in Marich. The work that Stephen allowed us to do in his clinic and the trust that he invested in us was reflected in the looks of awe and amazement (mostly from the Kenyan children who may never have even seen a white person before, let alone been injected by one!). Stephen freely admitted how lonely he often feels and how refreshing it was to have other nurses just simply to be with him, let alone assist with his work. What struck me as most amazing was the dedication he offers to a vocation that he truly loves. With his family in Kapenguria, he often has no choice but to sleep in his clinic in order to sustain the high level of care giving that the mountain people rely on. In Mary’s clinic, Hannah and I realised that some of the Western medications that we donate are not common and were not being readily used as their function was not clearly understood. We spent several hours educating Mary and her pharmacist and arranging her stock cupboard systematically with labels to indicate what the medications were and their exact function. Over the course of two days, we ventured to the clinic of Tikeet, built by the Yellowmen to provide a completely free medical clinic to people who have no other medical resources save those provided by the team. What shocked me the most was that people were travelling up to 15km, on foot, to be seen for thirty seconds and yet they showed so much gratitude. On the last working day, I joined the education department and spent the day visiting five different schools with Yellowmen Mike and Barbara, who were keen for me to speak to the children that they so passionately love to teach, on what it is like to be a young professional. People my age were amazed that I was a nurse, so young to have been to college and university already. What is the norm for our society, is something of the highest achievement in Kenya, which humbled me and quickly struck me as to how lucky I really am. All being said, the work that we did individually was great but the work that I saw the Yellowmen do, working as a team, was astounding. Overall, I have witnessed more acts of kindness in the course of two weeks than I have ever seen in my whole life. Both cultures have shown such generosity and compassion to each other that the atmosphere is so comfortable, it feels like family. I feel so proud to be known as one of the Yellowmen, and cannot wait to return to continue my nursing journey in Kenya.